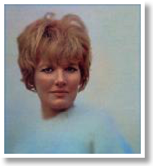 It has been said she has “a voice as sweet as chapel bells,” but for more than five decades, British artist Petula Clark has recorded more than 1,000 songs to date. She began singing in the 1940s, and her musical career in the 1950s saw great success with children’s songs such as “Where Did My Snowman Go,” and “The Little Shoemaker.” Clark’s website reports she has “sold more than 68 million records.” But it was her hits of the 1960s with the songs “Downtown,” her first Grammy, and “I Know a Place,” earning a second Grammy in 1965, which helped her gain deep musical appreciation the world over. Clark has been a hit in films for as long as she has been performing her music. In the 1960s, she played opposite actors like Fred Astaire and Peter O’Toole in such movies as Finian’s Rainbow and Goodbye Mr. Chips. She has been featured in variety shows in England, and in the States she has had three television specials. Her acting career moved ahead into the new century. In 2000, Clark performed in Andrew Lloyd Webber’s Sunset Boulevard. But it is her that music has sustained her and made many fall in love with her singing the world over. In 2003 she was awarded the Grammy Hall of Fame Award for her smash hit “Downtown,” where she hit the Top 20 in French Canada. She has sung numerous songs in French, German, Italian and Spanish. Clark has also toured over the last half century from New Zealand to America and is releasing a new album in February, an English release titled Lost in You. In this rare interview via email, Clark answers a few questions about her music and where her love of music comes from for our readers. Tell us how the new record (Lost in You) came about? I had worked before with producer John Williams, and enjoyed the experience a lot. There are 12 songs on this release. What was the recording process like for you while working with John Williams? We recorded most of the tracks in Johns' Wendy house' studio at the bottom of his lovely garden in leafy west London. He played me a few songs, and the first one we did was “Cut copy me.” It just grew from there. We decided to do some more new material, and a few covers, including a totally different take on “Downtown.” John and I liked the idea of putting a lyric to a classical melody and it was John who thought of J. S. Bach’s beautiful Sleeper's Awake. I wrote the lyric, and it's very personal to me! Yes, I love all the songs on this CD for all kinds of different reasons. What would you still like to accomplish in your music? I have no ambitions other than to keep on making and performing music. I honestly don' t know exactly why music has always meant so much to me. Maybe it all started in Wales, where my mother was born, and where I spent a lot of my childhood. (Wales is famously musical, much like Italy). I also loved 'swing' or jazz, but my ears were always well and truly open to all music, and still are! I listen to other people’s music, and I enjoy composing at the piano. I love the outdoors, and spend as much time as possible close to nature. We have a chalet in the French Alps, with great views, and lots of wild life. Is there anything else you would like to say about your work in the arts or to your fans? Well, I've tried to stay pretty well true to myself thru' the years, and don't think I'm about to change now! Thank you for your support. LOVE.